Indian Prime Minister Narendra Modi, right, talks to Iranian President Hassan Rouhani, left, during later's ceremonial reception at the Indian presidential palace in New Delhi, India, Saturday, Feb. 17, 2018. Rouhani, who is on three days state visit to India has strongly criticized the Trump administration's recognition of Jerusalem as Israel's capital and urged Muslims to support the Palestinian cause. Hassan Rouhani also lashed out at the United States for imposing a ban on travelers from six largely Muslim countries. ISRO needs next generation launchers and new facilities to manufacture and launch them, including a new launch pad at the Sriharikota spaceport. The Centre has allocated Rs 107.83 billion for the Department of Space for the financial year 2018-2019, against Rs 91.55 billion in the revised estimates for 2017-2018. The allocation includes about Rs 89.63 billion for various space-related projects of the department, and also the targets to be achieved in the next fiscal year. While the general perception is that the allocation should be more, considering the fact that the Indian Space Research Organisation is trying to increase its launches, experts pointed out this should be looked at in the backdrop of ISRO's efforts to form partnerships with private companies and the growing revenue of Antrix, the commercial arm of the government space agency. Pakistan has contracted another foreign commercial loan of $500 million from the Industrial and Commercial Bank of China (ICBC) to shore up its depleting reserves. The Express Tribune reported that with the new borrowing the Chinese financial institution's contribution to supporting a strong rupee against the US dollar increased to $1 billion in just three months. PESHAWAR: Speakers at a session here on Monday expressed concerns over the ongoing ‘hybrid wars’ at the behest of superpowers in the region. “No arms, ammunition, tanks and missiles etc are used in hybrid wars by the warring parties but they try to keep each another off-balance,” said Dr Khalilur Rehman. The in-house discussion on the topic was held at Area Study Centre, University of Peshawar. Dr Khalil said that the idea of hybrid war resided in the grey-zone between black and white, which meant neither war nor peace. He said that it was a low intensity, multidimensional and fifth generation conflict designed to weaken the opponent. Are China’s Arctic endeavours walking on thin ice? Over the past two decades, the intensification both of Arctic regional relations and of Beijing’s efforts to be recognised as a ‘near-Arctic state’ has generated concern about Chinese intentions in the region. On 26 January 2018, Beijing released China’s Arctic Policy — a White Paper that outlines China’s views of the Arctic region, its role within it and the goals and principles underpinning its Arctic activities. China issued the Policy in part to alleviate some of the concerns about Chinese Arctic involvement (namely, that China will undermine Arctic states’ sovereignty, will disregard the livelihoods of those who reside there and will threaten environmental stability in its quest to secure greater access to the Arctic’s resources and shipping routes). China and America are diametrically different, from history to ideology. In this post, I will highlight a key difference between them: China's uniformity vs. America's diversity. The image below highlights the key difference between the Roman Empire and the Chinese Empire. Simply put, while the Roman dream of uniformity was always elusive, the Chinese successfully implemented their uniformity rule of ruling more than 2,000 years ago. As a result, not only was the Chinese Empire at least as powerful as the Roman Empire, including the Byzantine Empire (aka "the [Eastern] Roman Empire"), it also lasted much longer. A statue of John Carroll, founder of Georgetown University, sits before Healy Hall on the school's campus August 15, 2006 in Washington, DC. Georgetown University was founded in 1789 and it is the oldest Catholic and Jesuit university in the U.S. Founded in the early 2000s, the Georgetown University Chinese Students and Scholars Association hosts an annual Chinese New Year gala, organizes occasional academic forums, and helps Chinese students on campus meet and support each other. 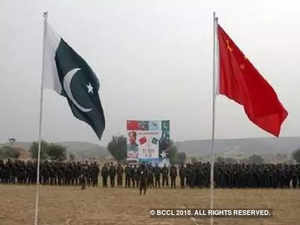 The group has also accepted funding from the Chinese government amounting to roughly half its total annual budget, according to documents and emails obtained by Foreign Policy. As highlighted in the 2018 Annual Forecast, progress toward a deal to deploy U.N. peacekeepers to intervene in the conflict in Eastern Ukraine is distinctly possible. Recent signs of compromise over other aspects of that conflict, such as prisoner exchanges, indicate that the forecast is on track. The idea of deploying U.N. peacekeepers to Eastern Ukraine was broached several months ago amid growing intensity in diplomacy surrounding the conflict between Russian-backed separatists and pro-government forces there. This weekend's Munich Security Conference will offer a chance for more talks over the issue, but given the differences of opinion over the size, scope and mission of any U.N. force, there's no guarantee that an agreement will be struck. But some signs of compromise over the peacekeepers issue — and the opportunity offered by the security gathering that will attract representatives from key powers — make real movement on the issue a possibility. MOSCOW (Reuters) - About 300 men working for a Kremlin-linked Russian private military firm were either killed or injured in Syria last week, according to three sources familiar with the matter. Russia is taking America’s use of privatizing war to the next level–hired guns who are off the books and unaccountable to the people. If you think the media has been saturated with news about Russia think again. While thoughts might run to Robert Mueller’s probe into possible Russian collusion with the Trump election campaign, I refer to something possibly far worse: the development and expansion of Russia’s private military companies (PMC) and its implications for the global spread of armies for hire by great powers and multinational corporations alike. The Trump administration appears to have pulled relations with NATO ally Turkey away from a “crisis point” after a slew of high-level meetings over the past week. But sharp disagreements on everything from the war in Syria to Russia’s role in the Middle East make it unlikely that the United States can restore warm ties any time soon with a country long seen as the southern flank of the Western alliance in Europe. “We’re not going to act alone any longer. We’re not going to be U.S. doing one thing and Turkey doing another,” Secretary of State Rex Tillerson said at a press conference on Friday in Ankara after meetings with Turkish officials, including Foreign Minister Mevlut Cavusoglu and President Recep Tayyip Erdogan . 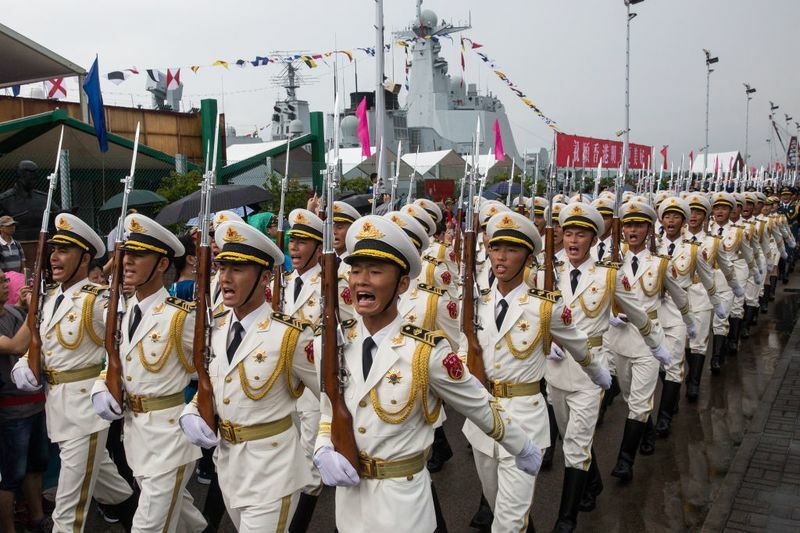 Harry Harris says China’s military might could soon rival US power ‘across almost every domain’, and warned of possibility of war. Having struggled last year to meet its recruiting goals, the Navy’s personnel chief sees “difficult times ahead” in attracting and keeping sailors and officers as the sea service expands the fleet in the coming years. So-called white-hat hackers discovered more than 100 vulnerabilities in Air Force networks in the second round of the service’s "bug bounty" program, according to figures released on Thursday. The program, called Hack the Air Force, invited security researchers to find and report vulnerabilities in the service’s government systems and rewarded them for doing so. 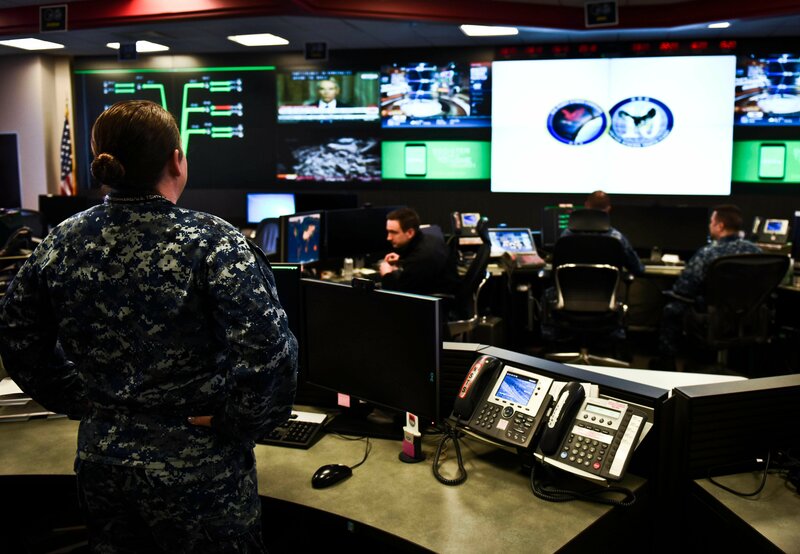 More than two dozen hackers from around the world discovered 106 vulnerabilities in Air Force networks, which earned them nearly $104,000 combined, bug bounty platform HackerOne announced on Thursday. “Fake news”, “disinformation”, “misinformation”; since the 2016 US presidential elections, these terms have exploded into the public lexicon, bringing awareness to a longstanding problem of online communication: when anyone can publish anything, how do we know anything is true? Focusing on the main types of audiences for disinformation is perhaps the cleanest way to approach solutions to the problem of disinformation. There are three audience types for disinformation: those who’ll buy the message, those who may not buy the message but can be temporarily convinced or confused by it, and those who refuse to believe. In short, they are the Convinced, the Confused, and the Skeptics. Artificial intelligence. Quantum computing. Nanotechnology. The Internet of Things. Blockchains. Neuroscience. Biotech. We live in a world of rapid technological development, in these and many other areas. Frontiers are being pushed further and further at a faster and faster pace. And there’s a broad consensus that, in a military context, the way we fight and the environments we fight in will change as a result. But that’s where the consensus stops. We simply don’t know the degree to which war will change. And yet, success in future wars might ultimately hinge on our ability to meaningfully explore those complicated questions today. That’s what we do in this episode of the MWI Podcast, which features two guests who have studied these issues deeply. 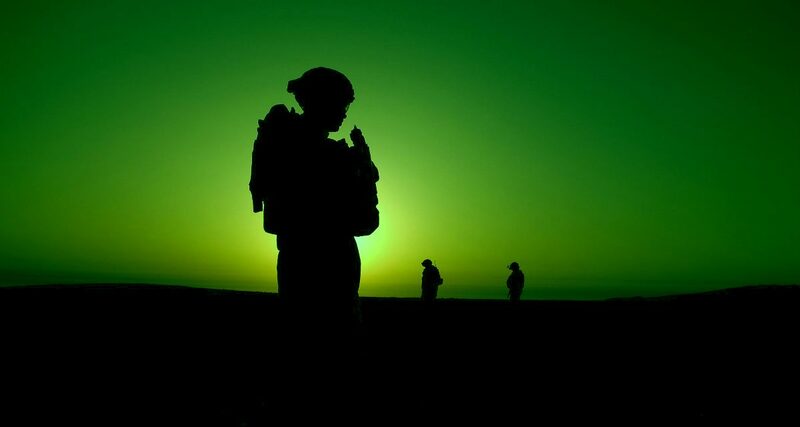 Retired Maj. Gen. David Fastabend and Mr. Ian Sullivan have been heavily involved with efforts to conceptualize the future of warfare, undertaken largely by the Army’s Training and Doctrine Command, where Sullivan is the assistant G-2 for ISR and futures. 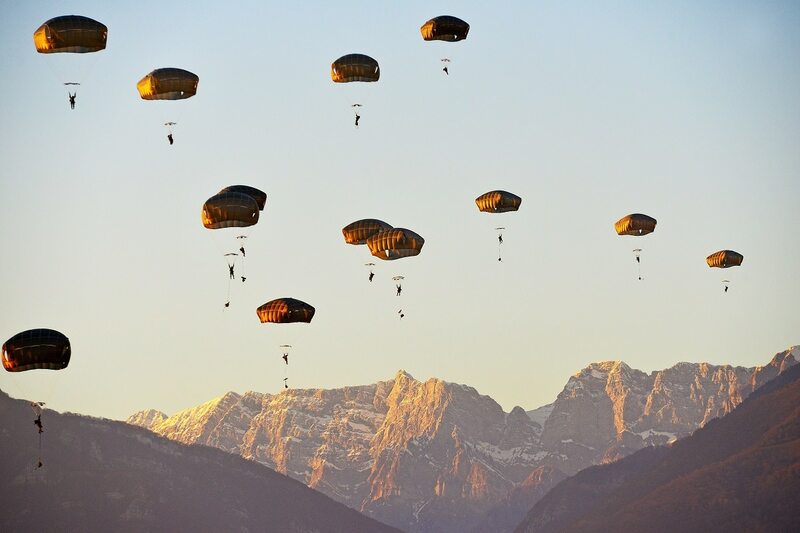 U.S. Army paratroopers assigned to the 173rd Brigade Support Battalion, 173rd Airborne Brigade, descend onto Juliet Drop Zone in Pordenone, Italy, during an airborne operation from a U.S. Air Force 86th Air Wing C-130 Hercules aircraft Jan. 18, 2018. A parachute is a carefully engineered mess of cloth and string, gently lowering its occupant to the ground. A paratrooper is a person who takes that same trusted parachute, and then jumps out of a plane into a combat zone, and, in theory, is ready to fight as soon as he hits the ground.